Jiangxi Province, China, 1941Atop the fabled mountain of Lushan, celebrated for its temples, capricious mists and plunging ravines, perches a boarding school for the children of British missionaries. 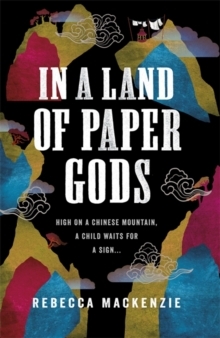 As her parents pursue their calling to bring the gospel to China's most remote provinces, ten-year-old Henrietta S.
Robertson discovers that she has been singled out for a divine calling of her own. Etta is quick to share the news with her dorm mates, and soon even Big Bum Eileen is enlisted in the Prophetess Club, which busies itself looking for signs of the Lord's intent. (Hark.) As rumours of war grow more insistent, so the girls' quest takes on a new urgency - and in such a mystical landscape, the prophetesses find that lines between make believe and reality, good and bad, become dangerously blurred. So Etta's pilgrimage begins. 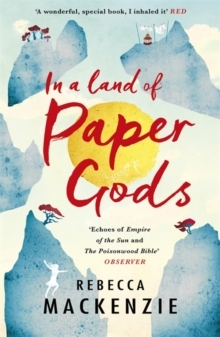 A story of a child far from home and caught between two cultures, In A Land of Paper Gods marries exuberant imagination with sharp pathos, and introduces Rebecca Mackenzie as a striking and original new voice.